"Mobile is the new standard"
As wireless devices continue to improve and become more widely used, the frequent request is for allowing remote staff to access corporate systems quickly when not in the traditional office environment. The trend started with Service technicians and is spreading to outside sales staff and even the travelling executive. In 2013 SouthWare added the first of the Mobile platforms optimized for today's tablets. This was initially for the Service Technicians and included the ability to manage their service calls, obtain and capture customer signatures, and take credit card payments using a PCI compliant interface. At the start of 2014, the Mobile application for Outside Sales was added with full Order taking functionality. See a video of this new interface here, or call us for a live presentation. Via the very successful ongoing maintenance program, users have seen huge improvements to the web style interface especially as specialized "portals" have been developed for specific functions. Many of these portals have made use of the latest technology and the POS interface using touch screen technology is one example. By remaining current on their subscription, the users gain the benefit of using the web interface remote from outside their office gaining access to most of the information they need, quickly and securely. Busy owners and executives can review the days activities in real time outside their normal office hours. If you do not use the new screens yet, please take time to review them. You will see the benefits. If you would like us to host a web seminar on the new look, please let us know. In keeping with a simpler interface requiring less training, SouthWare has added the ability to customize what you see on the web menu with "quickscreens". Coupled with the new Tablet Interfaces, staff can become productive faster and respond quicker to your customers. We can set this up for you. Please ask us how. 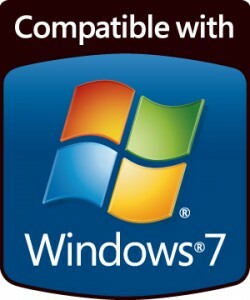 SouthWare's Revision 15 and above is compatible with Windows7 and 8.